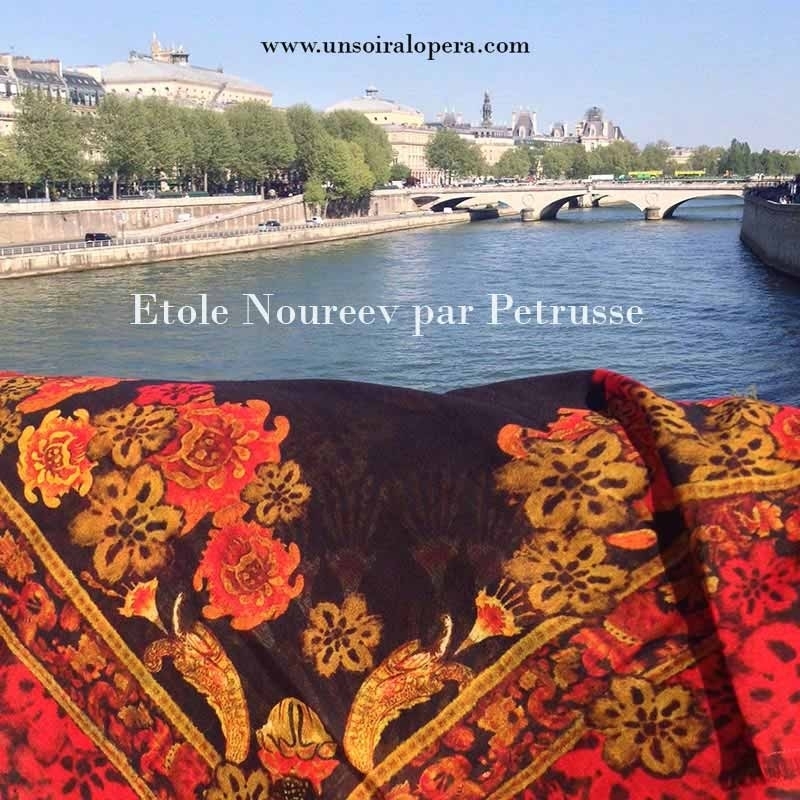 Rudolf Nureyev was also a passionate collector of antique fabrics. Revisiting the pattern of his Parisian apartment and the traditional Russian scarves, this large woolen stole makes a classy addition to your outfit. 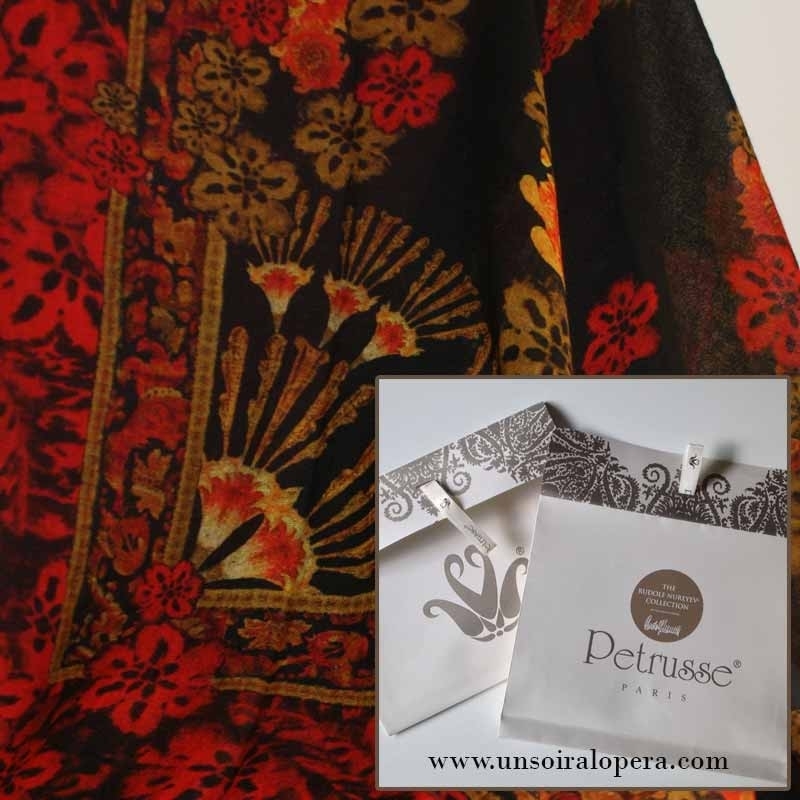 Un Soir à l'Opéra asked Petrusse to create a beautiful and unique pattern paying tribute to Nureyev's passion for textiles and antique fabrics. We are proud to present her stunning work exclusively designed for the Rudolf Nureyev Collection. 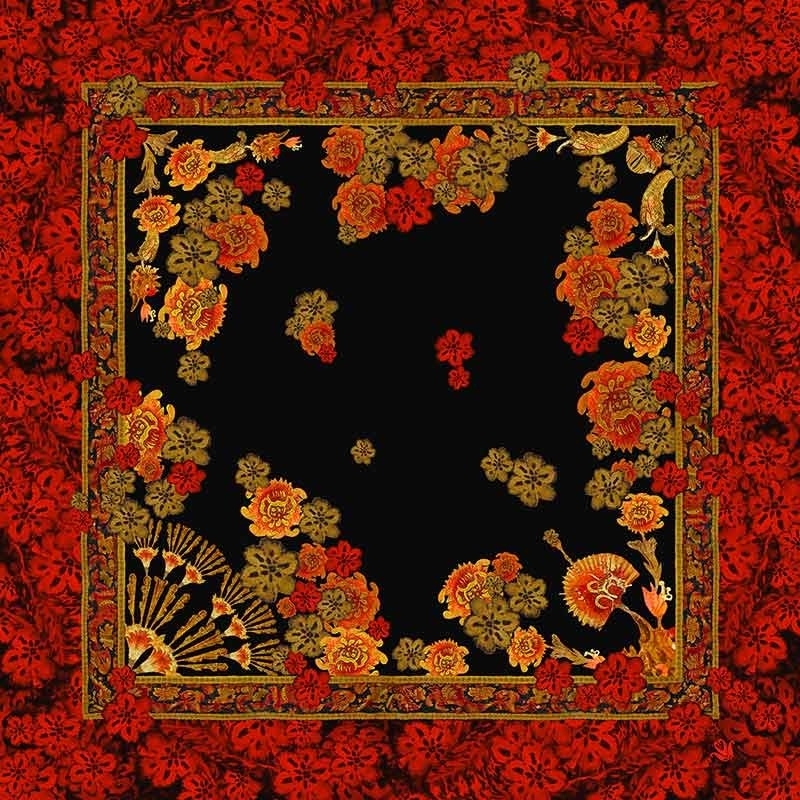 A beautiful Russian shawl to keep you warm this fall and winter.